Authored by Assemblywoman Cristina Garcia, AB 53 requires the driver of a motor vehicle to properly secure a child who is under 2 years of age in an appropriate rear-facing child passenger restraint system, unless the child weighs 40 or more pounds or is 40 or more inches in height. The new law went into effect January 1, 2017. Until then, rear facing car seats were the law, but only for children under 1yr old. Not all parents are thrilled with the law, as some like to see their kids faces. Is the child awake, sleeping, happy, sad, eating an old french fry? You can always install a second mirror, but you can’t argue with the numbers. Rear facing car seats are safer. According to the American Academy of Pediatrics, a 2007 study in the journal Injury Prevention showed that children under age 2 are 75 percent less likely to die or be severely injured in a crash if they are riding rear-facing. Vital body parts are protected in most accidents in rear facing car seats because the seat distributes the force of the collision across the child’s entire body. 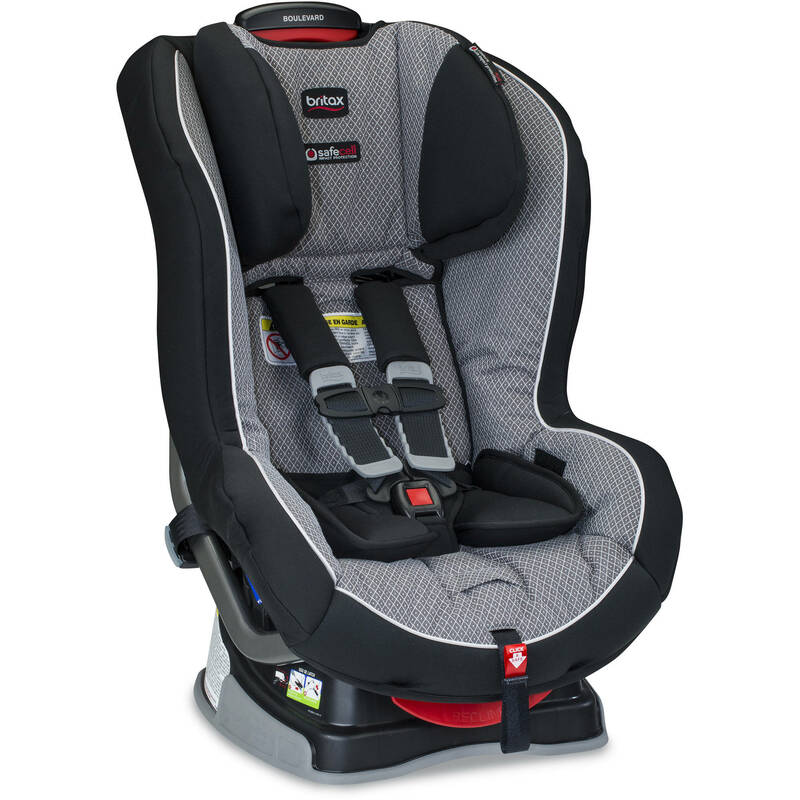 Some car seats, such as this Boulevard G4.1 car seat, seen above, also serve up side impact protection, a steel frame, and special clicking mechanisms to let you know that you have adjusted the straps to the correct tightness. Chicco, Graco, and many other companies offer rear facing car seats as well. One thing car seat shoppers should take into consideration is the seat design; some rear facing seats are only manufactured for children weighing up to 35lbs. Prospective buyers can find out more about car seat compatibility at websites such as car-seat.org, where users post reviews, write articles, and answer other user’s questions.